Wine 4 You has been providing great wine and a great winemaking experience since 2010. Thanks to the tremendous support of our customers, family and friends, we renovated in 2014 to increase wine production space. 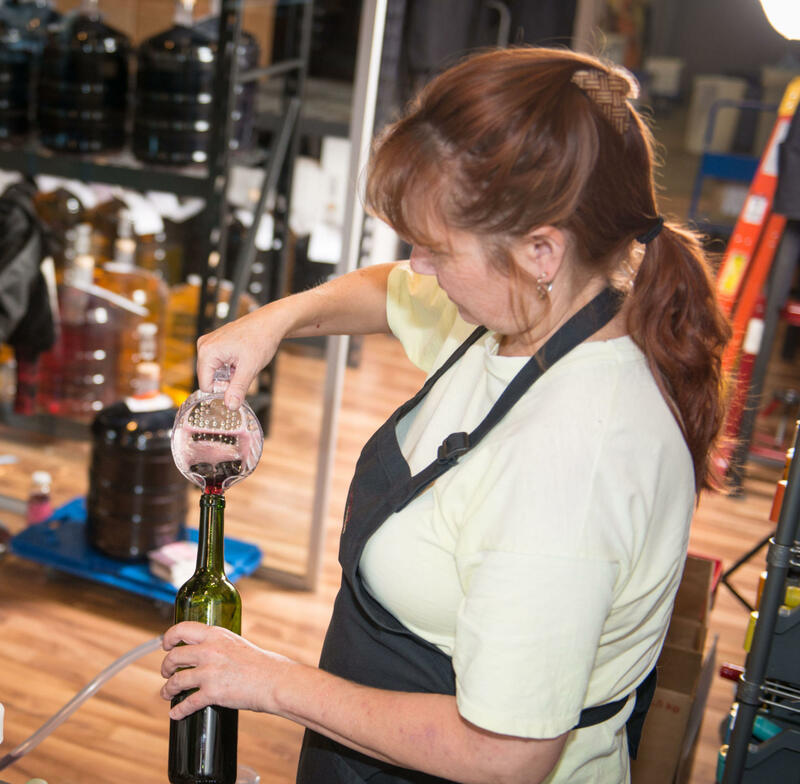 Our efficient bottling areas provide a great space for fun and easy bottling of your wine. A visit to the classy and spacious Wine 4 You begins with a full view of the wine making area through an impressive seven-foot high glass wall. Ask us for a tour, we would be more than happy to show you around! Wine 4 You is owned by Shirley Voldeng. Her story begins with an engineering degree from the University of Saskatchewan. After working in this field for one year she moved to Naicam, SK with her husband, Peter, where they spent the next 15 years operating a hog farm. During this time they were honoured as the Outstanding Young Farmers for Saskatchewan in 2002. 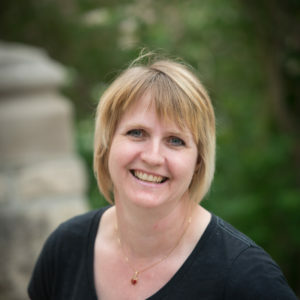 Shirley served on the Board of Directors of the Saskatchewan Pork Development Board (SaskPork) for four years, and was Chair of the Board for three of those years. 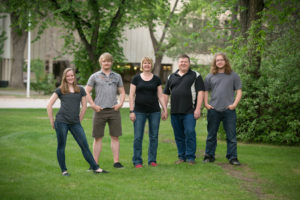 A downturn in the hog industry saw the family move into Saskatoon. 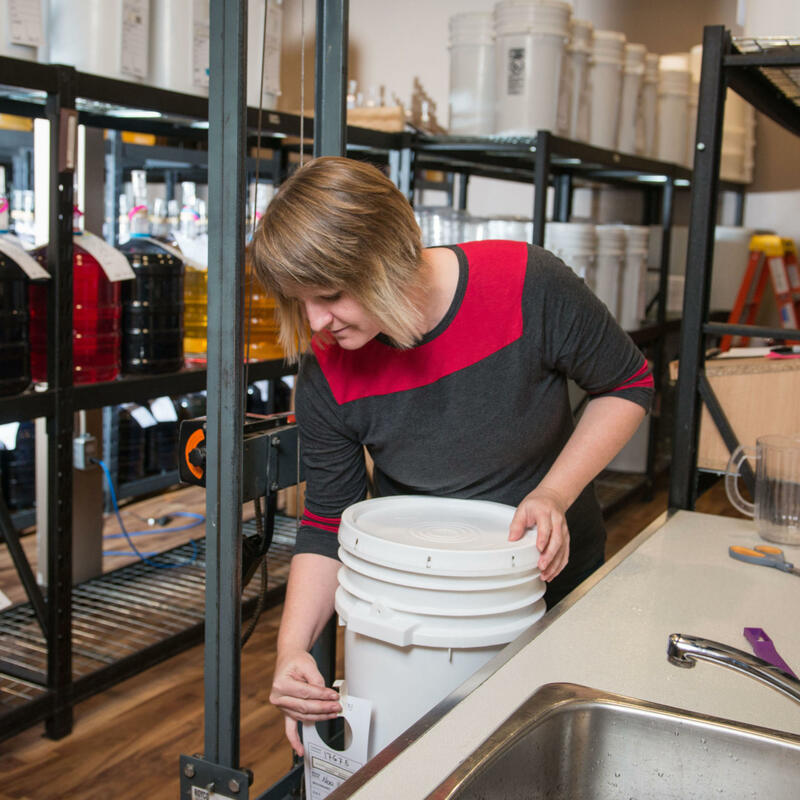 While searching for a business opportunity, Shirley was encouraged by her father-in- law, Vern Voldeng, to pursue on- premise wine kit making, which became legal in Saskatchewan in April 2009. Vern brings 20 years of wine kit making knowledge to Wine 4 You. After spending many hours with the startup of the store, Vern now spends much of his time golfing, but still drops in to help out when needed. Shirley’s family, husband Peter and children Addison, Scott, and Sarah, continue to be a integral part of Wine 4 You. Shirley completed the Level 1 Sommelier course and continues to extensively read and research about wine. She started Wine 4 You because she loves for people to be happy. This shows in her enthusiasm for helping you choose wine, in talking with people about her business, and having a friendly helpful place for experiencing the joys of winemaking. 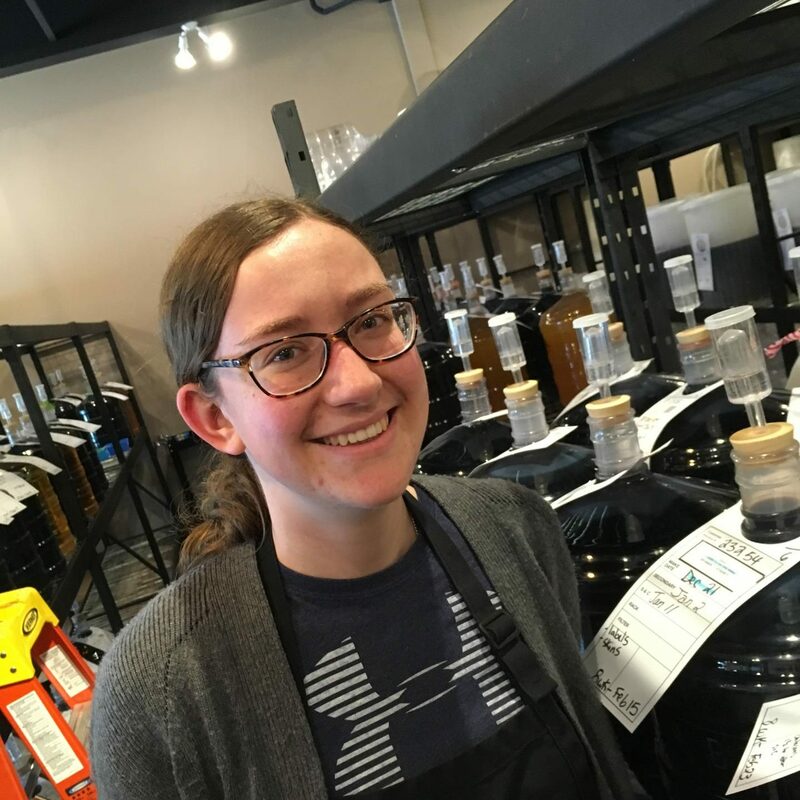 Laurel brings over 6 years of winemaking experience, with 5 years at the former ‘Let’s Make Wine’ store in Saskatoon, as well as making her own wine at home. She recently completed the Level 1 WSET course offered through the CO-OP liquor store. This wine and spirits education course had information on wine styles, choosing wines and tasting wines. She has a wealth of wine knowledge and is eager to help you choose the wine that is best for you. 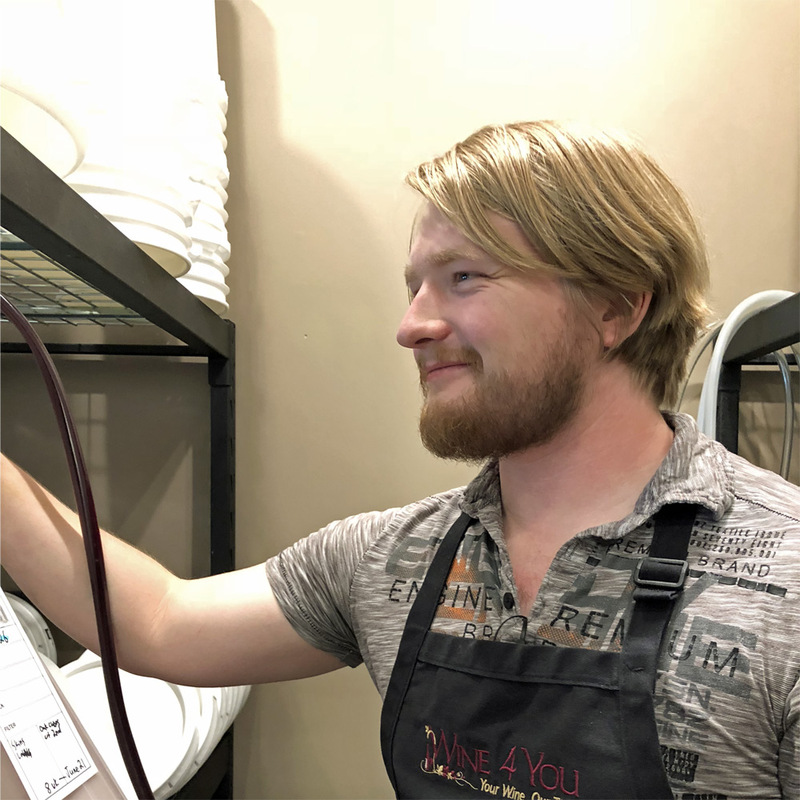 Addison has been working part-time at Wine 4 You since returning home in the summer of 2017, after spending 4 years in Vancouver. He will be a full time winemaker this summer before returning to University in the fall. Being the oldest son of Wine 4 You owner, Shirley, means that Addison has been involved since before the store opened. Lace has worked with us since September. She likes all the detail involved with winemaking, and enjoys learning about wine. Lace has been enjoying getting to know everyone.